Far more Ross Ryan information than you could ever possibly want. 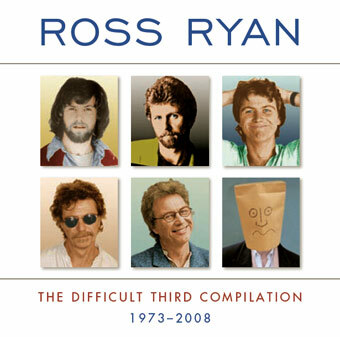 Music, songwriting, angst, Roy Orbison, good fortune and utter stupidity - all woven into a track by track commentary by RR. We've added a shed load of videos - most of them embarrassingly hilarious - including clips and TV appearances from the 70s and 80s; exclusive footage from 'Flashez' and 'Give 'Em Heaps' and more from Capers '07. Random and vaguely compilation-relevant memorabilia from the Coathanger archives.